TP Campfires: Wow, I Thought it Was All Just Songs and Silly Skits!! The first official 2014 Towering Pines (TP) camper-led campfire of the year was a success. 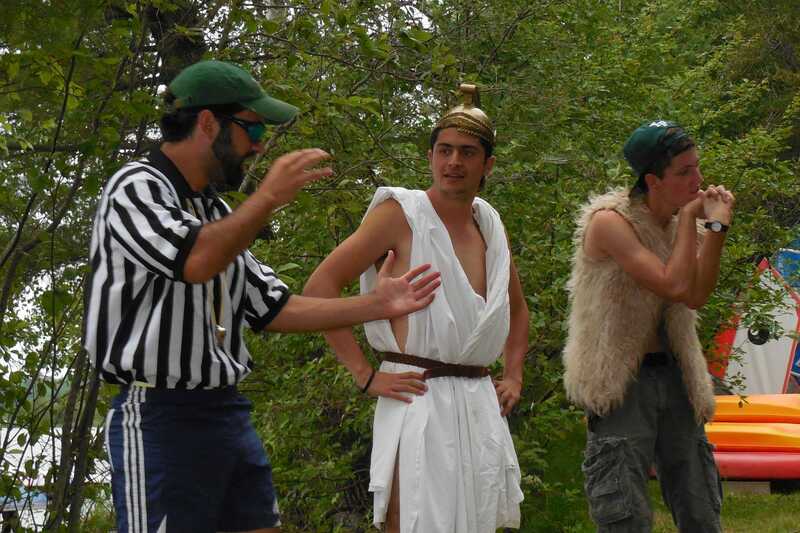 The line-up of cabin performances – hosted by the hilarious trio of the Ref, the Trojan, and Feghazi – included a nice mix of classics and fresh material. The Ref, The Trojan, and Feghazi – formerly shy TP campers, now leading our campfires. Though the Towering Pines campfires only last about an hour, a lot of stuff gets packed in: songs, cheers, skits, challenges, jokes, etc. Campfires are an integral part of the camp experience, giving the campers and staff a fun, shared experience. In addition to a few laughs and “camp stories” to recount later to friends and family, a LOT more is embedded within a TP campfire performance, including some powerful life skills. TP campfires are an enjoyable first step towards developing public speaking skills. Most people (74% according to Statisticbrain.com) have a fear of public speaking, and TP campfires provide the boys a great introduction to overcoming this trepidation. The Towering Pines Staff do a superb job of providing the kind of emotionally safe environment that embolden our campers to take social risks. It may take a few summers for our social butterflies to emerge from their cocoons of reticence, but TP campfires enable even the shyest kids to become comfortable in front of large groups. Wow Bill, that’s fascinating! 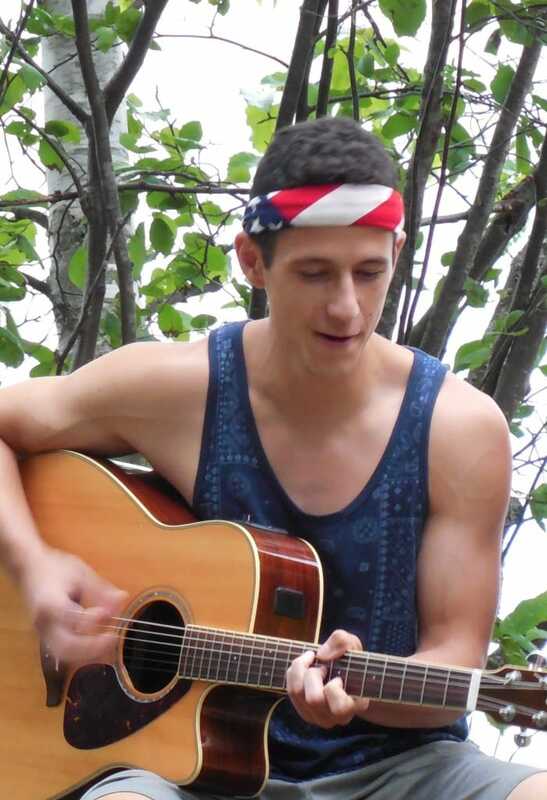 So what else is built into a campfire performance? 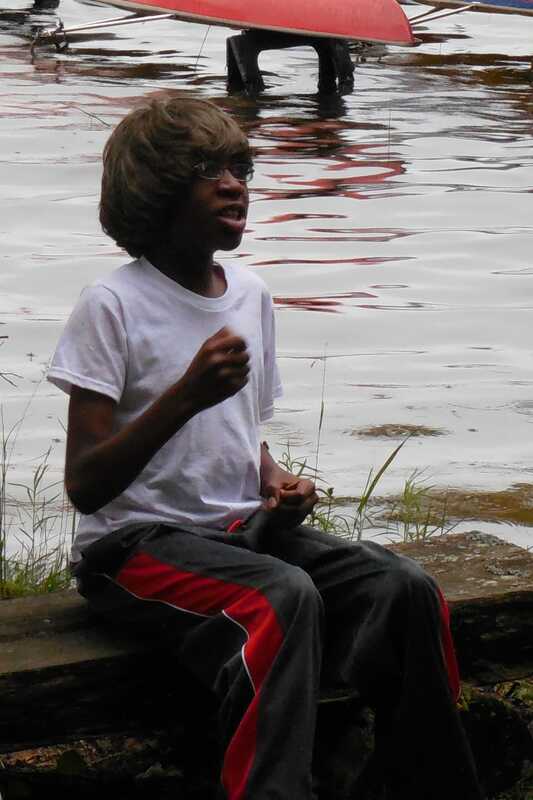 First year camper Jeremiah. Yes, that’s a wig. Successful campfire presentations also require Trust to know that you you’ll be supported by the whole camp, Preparation to learn the skit / song, Creativity to turn a stale old skit into something fresh, Teamwork to divvy up the roles, a Sense of Belonging, and Cabin Pride for a job well done. Not bad, huh? And you thought it was all just songs and silly skits.